Platypuses are strange animals both adored and misunderstood by their many unique characteristics including otter-like feet, beaver tails, duck bills and venomous spurs. Their life cycle is equally interesting, as they are one of only five types of mammals to be born from an egg. 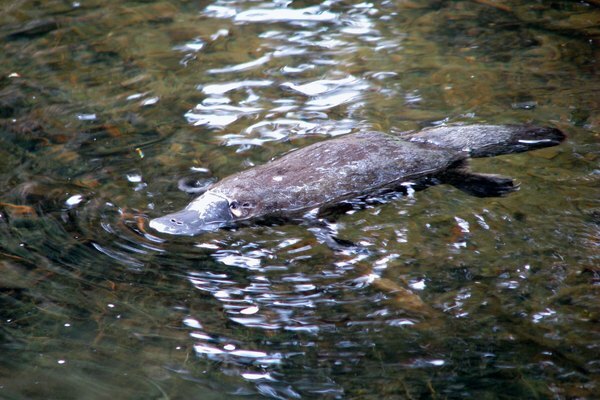 After mating, the female platypus will lay between one and three small eggs, similar to those of reptiles. 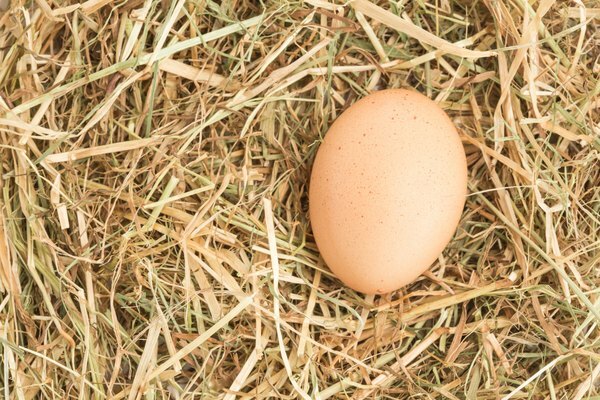 The eggs develop inside of her body for about four weeks, then are laid in a dirt burrow for about 10 days. The incubation has three stages. In the first stage, the embryo relies on the yolk for sustenance. In the second stage, the embryo has fulled absorbed the yolk and begins to develop its limbs and digits. By the third stage, the platypus will begin to develop teeth. After hatching, the babies will be blind, deaf and hairless. They survive on their mother's milk, which does not come from teats, but instead is secreted from her pores and collects on grooves in her abdomen, which create pools for them to lap up. They stay in this young suckling stage for about three to four months, after which, the mother stops staying in the burrow with them as often. At about four months old, the babies leave the burrow for the first time. While they are born with teeth, these fall out around this time and are replaced by horned plates that are used to grind food. 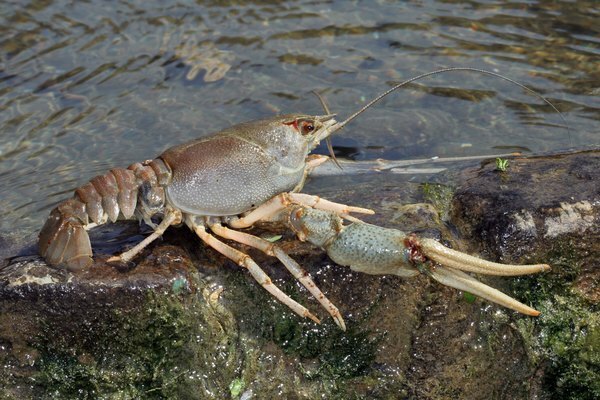 At this stage, they will begin eating adult food, including insect larvae, freshwater shrimp and freshwater crayfish. Both sexes are born with spur buds on their hind feet, but after a year or so, the female's will drop off. On the males, these will continue to grow and are attached to a sac containing poison. 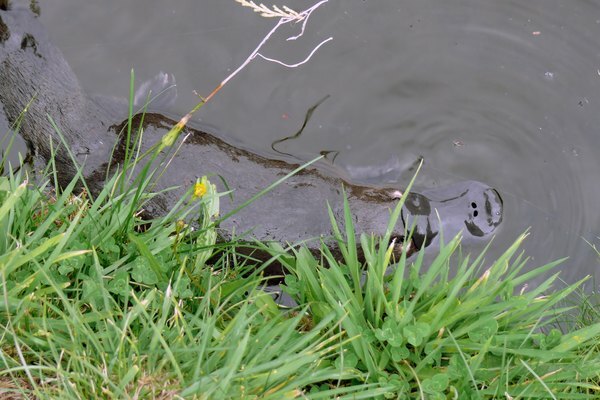 The animals become sexually mature at two years old and are known to successfully mate as late as nine years old. 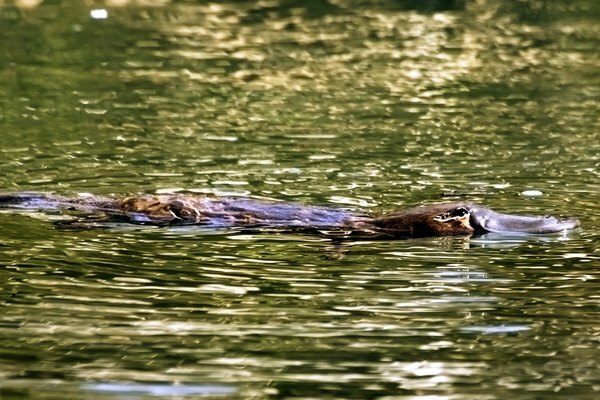 The platypus only mates between June and October. The animals are not monogamous. While most of the animals live in shallow burrows most of the year, the females dig elaborate burrows after mating in order to provide their young with shelter. Males take no part in raising the babies. 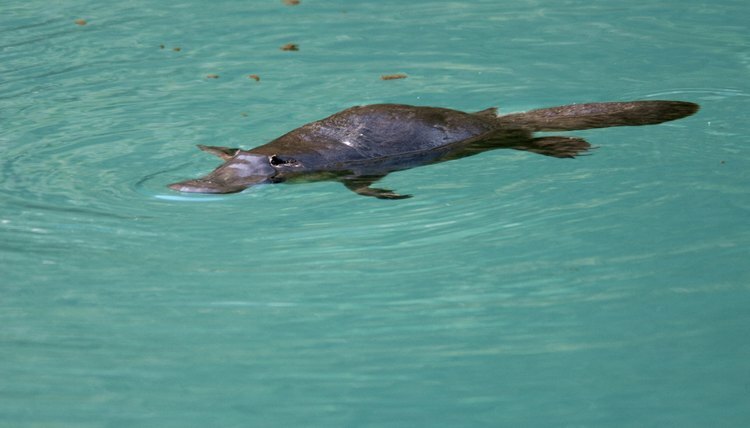 Wild platypuses have been known to live as old as 11 years, and those in captivity can survive to 17 years of age.